Being human is hard, change is difficult, and evolution of character is a gradual process. 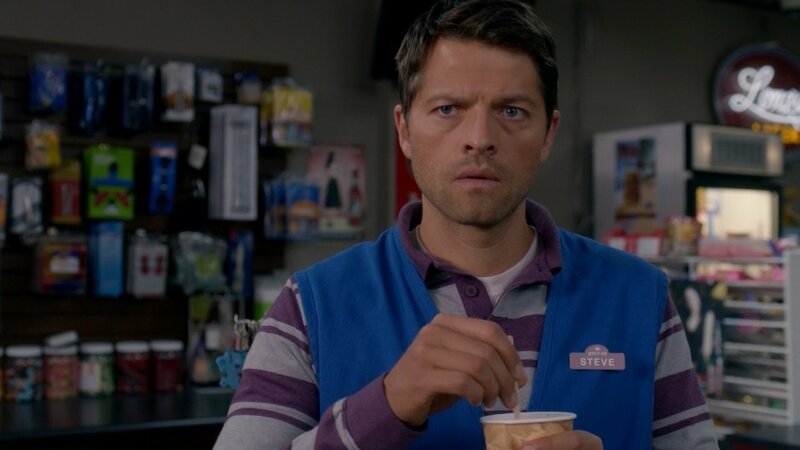 All of these truths came into play on the latest Supernatural episode, and along with them came some unforeseen revelations. The question now is, where do we go from here? There are often episodes where it’s all about the action. Viewers are scared to blink because things are happening so fast that it’s easy to miss certain plot elements. And then there are episodes where the plot’s unfolding gently and organically, where the feels take center stage and you’re overwhelmed for other reasons. “Heaven Can’t Wait” falls into the latter category and I’m still left pondering everything that happened. Center stage we had Cas — or Steve, as he’s now going by. The fallen angel has joined the ranks of humans who are struggling to make ends meet, working difficult albeit mind-numbing retail jobs and wondering if they can afford to pay for food and shelter. Cas has the first bit covered, but not so much the second. He’s virtually homeless, his friends having turned their backs on him thanks to Zeke, yet he’s trying to take pride in what he has. He’s failed at everything heavenly, but at least he can stock shelves and make change better than anybody. Oh, how the mighty have fallen. It makes me sad to see Cas living like this, and it makes me doubly-sad that Dean cannot make it better. The elder Winchester puts on a brave front, but he’s very concerned about his adopted family member and the state of life Cas has found himself in. 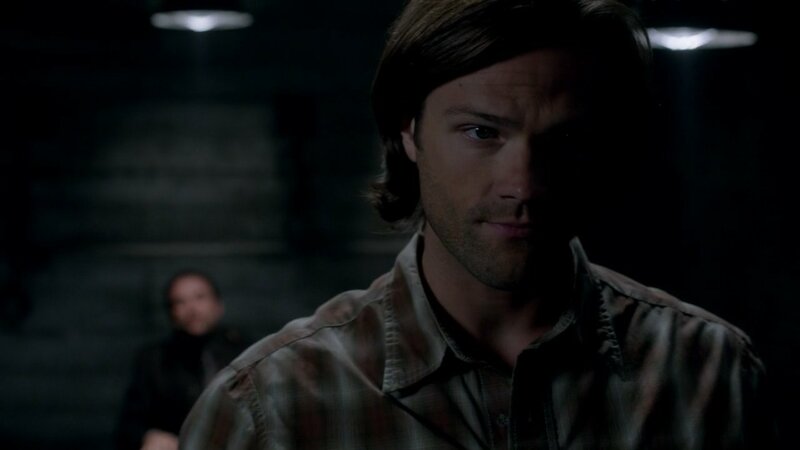 Yet when it comes down to it, Dean abides by the same method he’s been using with Sammy — lying. There is no way to return the angels to Heaven, so Cas has no hope of regaining what he’s lost, yet Dean will not let him know that. No, instead Dean will lie to spare the poor man’s feelings, as if delaying the truth is going to make it better. It isn’t going to work with Sam, it’s not going to work with Cas. Bad times are coming. The other character to take a turn in the spotlight this week was Crowley. 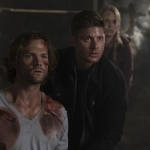 The demon king has been locked up in the Winchesters’ dungeon since Dean took him from the church, and they’ve been trying to pump him for information ever since. But, as we all know, Crowley gives only when he gets things in return. Want a name? Let him stretch his legs. Want a translation? Let him make a blood-fueled call to his successor. 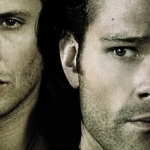 I am loving the dynamic we’ve been seeing between Abaddon and Crowley. The new order up against the old — who is going to come out on top? I hope Abaddon can stick around for a long, long time. It’s not often we get a strong female character on this show, and even less often do we get to see one who can take on both the Winchesters and the entire demon population without breaking much of a sweat. Long live the queen. But it’s not just the upset over losing his throne that Crowley’s been dealing with. Instead, we also found out that maybe the glimpse of his humanity had a greater toll on him than we imagined. When placing the call to Abaddon, he was adamant that he use Kevin’s blood. Why? Well, we find out at the end of the episode, when Sam watches from the shadows as Crowley shoots up a syringe of the prophet’s blood. Is it that Crowley wants to regain his humanity for real, and is now dosing himself on a way to a final cure? Or is it a ploy to somehow allow him to become the ultimate victor? Either way, what is the significance of it being Kevin’s blood only? Does Crowley perhaps know that Sam’s fueled by angel juice now? That his blood running through Crowley’s veins might be like acid to the demon? So many questions that we’ll have to wait to get answered. 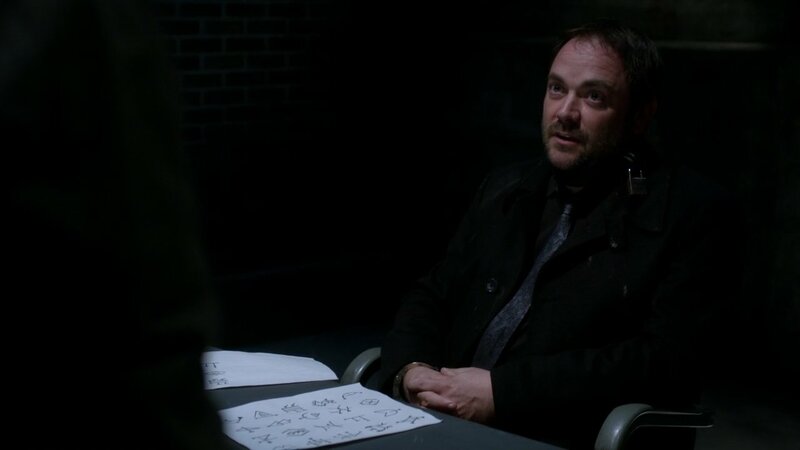 I’m eager to find out what’s behind Crowley’s plan. And what of Sam? He was more “waiting in the wings and in the dark” for this episode. He had some great confrontations with Crowley, but the truth about Zeke or even mentions of him didn’t make it front and center for once. In other words, nobody died so Zeke didn’t have to come out and bring them back to life, Sam included. That whole storyline is just a ticking time bomb. The truth is going to come out, and when it does Dean is going to be in so much trouble. The lies, they just keep building. 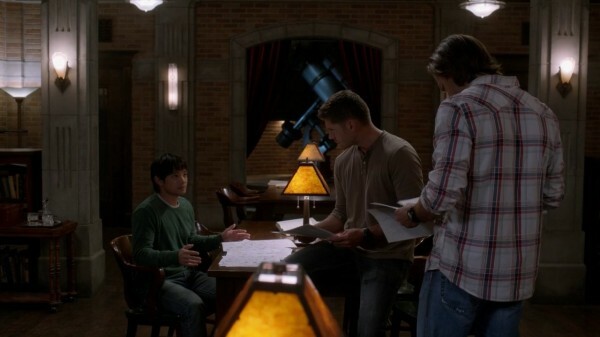 And now Dean’s lying to both Cas and Sam “for their own good.” Just wait until he gets forced into telling the truth. Oh, the potential for disaster. I just hope he can get some forgiveness and understanding to go along with the anger and yelling that’s coming his way.